Home » Food and Nutrition » Alternative Remedies » Ancient Chinese Medicine Possible Remedy for Hepatitis C? Ancient Chinese medicine, in many cases, has stood the test of time. Various techniques and herbs that have existed for centuries are still being practiced today, and many have evolved to treat new conditions. It’s often amazing to think about how these ancient techniques are still relevant and effective to treat conditions that were extremely uncommon—or didn’t even exist—when they were discovered. Another new way to use an ancient herb has recently been discovered and it fills a major void in the medical community. It has the potential to save millions around the world, and before now, it was never used to treat such a condition. 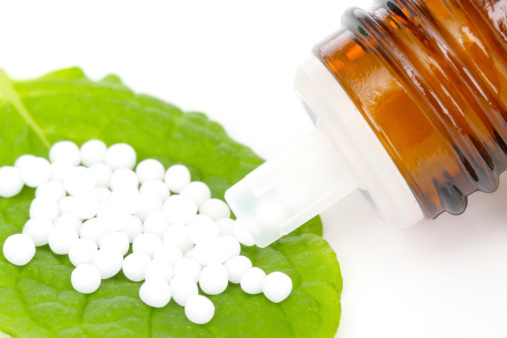 The remedy is an extract called SBEL1, found in plants in Taiwan and Southern China. Researchers have recently discovered that SBEL1 offers significant potential to treat and maybe even cure hepatitis C. Previously, the extract has been used to treat sore throats and inflammation. Between 250 and 300 million people around the globe are infected with the hepatitis C virus (HCV), while the virus claims an estimated 350,000–500,000 lives annually. Currently, there are no universally effective treatments for HCV, and existing treatments can come with all kinds of negative side effects. In the past, less than 20% of all HCV patients received treatment due to a lack of suitable methods. Poor efficacy and toxicity are to blame, but the new discovery of SBEL1 might change that. Left untreated, HCV can result in severe liver damage, liver cancer, and cirrhosis. HCV invades cells by attaching itself to specific cell receptors that allow it to enter. Once inside, it takes over various cell functions and begins to spread by copying and transporting itself through proteins. It can quickly spread through the body using this process, tricking cells into believing it’s supposed to be there. When doctors treated patients with SBEL1, they noticed their cells accepted significantly lower levels of the HCV protein, essentially blocking HCV entry into the cell and severely restricting its ability to spread. The pretreated SBEL1 patients showed significantly better defense against HCV than the control group. The results indicate that SBEL1 inhibits HCV production and proliferation in a number of processes, giving doctors a better understanding of the virus, how it spreads, and how it can be contained. The best part is that it seemed to block 90% of HCV activity while showing virtually no side effects. Although it affects hundreds of millions of people, HCV is only spread through direct blood contact. It’s usually spread through unsterilized needles and blood transfusions. There are not a lot of immediate symptoms, and only after being infected for a long time do symptoms become apparent. If you think you’re in a high-risk group for HCV, it’s recommended you receive a blood test from your doctor to see if the virus is present. “Hepatitis C fact sheet,” World Health Organization web site, April 2014; http://www.who.int/mediacentre/factsheets/fs164/en/. “New Chinese herbal medicine has significant potential in treating hepatitis C, study suggests,” European Association for the Study of the Liver, ScienceDaily web site, April 12, 2014; http://www.sciencedaily.com/releases/2014/04/140412093341.htm, last accessed April 15, 2014. “Potential hepatitis C cure found in Chinese herb,” The Times of India web site, April 14, 2014; http://timesofindia.indiatimes.com/Life-Style/Health-Fitness/Health/Potential-hepatitis-C-cure-found-in-Chinese-herb/articleshow/33741927.cms, last accessed April 15, 2014.